Romain "Sherkhan" Chiffre first fiction movie is available NOW! "Rock Dem" is a short fiction movie about the struggles of a young artist pursuing his dream to be a Singer. The movie takes you through the Dancehall and Reggae scenes in Jamaica giving the audience a feel of what music is like on the Island and the rigors of what a young artist goes through to survive in the music industry. "Rock Dem" was made in Jamaica, and was filmed and directed by Romain 'Sherkhan' Chiffre, Raatid Magic Films. Sherkhan is a young talented Film-maker who has been creating a buzz as his style and standard of films and videos is being sought after both locally and internationally. 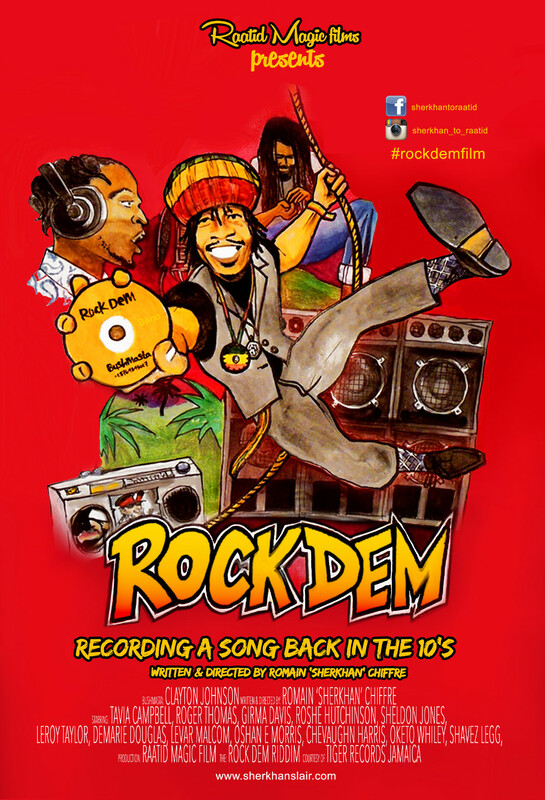 Rock Dem will highlight the versatility of the Director and also the actors. ROCK DEM Written and directed by Romain "Sherkhan" Chiffre 21 minutes. Including English and French subtitles. Available here. Featuring Exile Di Brave as the Bushmaster, Kazam Davis, Infinite, I-Waata, Yaadcore and many more. 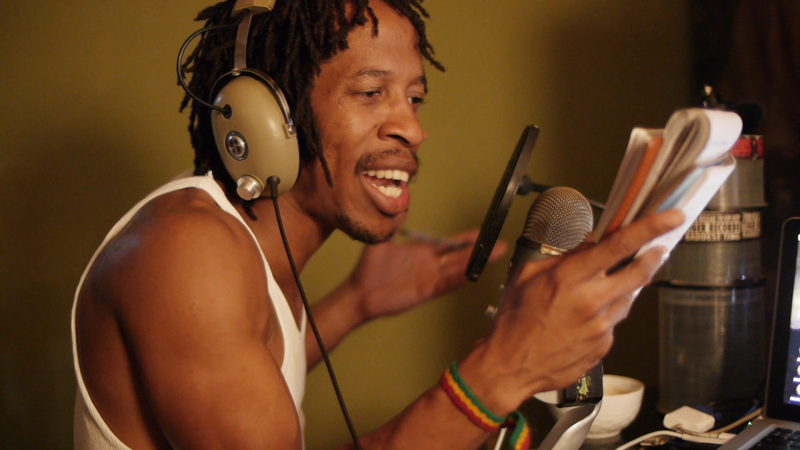 In 2015, Sherkhan also released the ROCK DEM RIDDIM on his Tiger Records label, recorded for the movie. Born in Paris, Romain "Sherkhan" Chiffre grew up in a very artistic environment, his father being a stuntman and filmmaker, he turned himself very young to creation. He joined Pivaut art school in Nantes, where he learned hyper-realistic painting. He then turns to the music so he abandons gradually drawing and painting to devote himself to it. At the age of 21 he founded the band Zebra Experience where it holds either the bass, the guitar, turntables and wrote most of the compositions. Quickly he went to live with the band in London squats to hone his scratching skills and learn about Jamaican music. In 1999, after four years, two albums and numerous concerts, the band split and Sherkhan decides to go to Morocco armed with a laptop and a microphone with the intention of recording an album over his meetings. He created the musical travelogues "Nuits Emeraude". "Un Hiver au Maroc" is the first album of the concept, he also co-directed a film on this project in 2001 with Nicolas Joubard. Because of the success of esteem of this first project, he wants to continue the adventure and moved to Jamaica where he had the idea of recording a new musical travelogues album titled "When Hip Hop Returns To His Jamaican Roots". He falls really in love with the island, its light and its atmosphere, and after some back and forth, finally decided to settle there permanently in 2003. He married two years later the talented Diana Rutherford, that he met at the famous Geejam Studio, a High Tech Jamaican recording studio founded by Chris Blackwell. Sherkhan gradually made meetings with major artists and managed to gain their trust with his compositions. He soon formed his own recording studio and label, Tiger Records. In 2004 he composed and produced his first "riddim" (instrumental track) entitled the Wharfedale riddim. 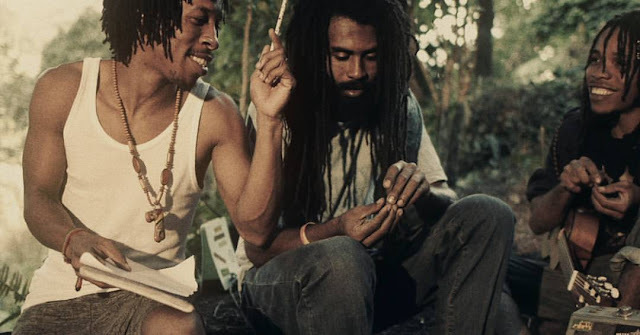 This first project "Jamaican-style" (series of songs in which each artist recorded on the same instrumental version), already gathered great names of contemporary reggae, like Sizzla, Tanya Stephens, Chrisinti or Lutan Fyah. Since then, the catalog of the label has been enriched with hundred titles and a dozen albums as "French Connection" by Perfect, "Much more to life" by Norrisman, "Stand Up Strong" by Bazil, "Ghetto Princess" and "Better Days" by Diana Rutherford, plus a handful of compilations of various productions. Meanwhile, Sherkhan grabbed a camera and started directing music videos for his own production first, and then for other artists or labels who quickly call him. Raatid Magic Films became his signature. His location in the heart of Kingston and his many connections abroad allow him to work for Jamaican and foreign labels. 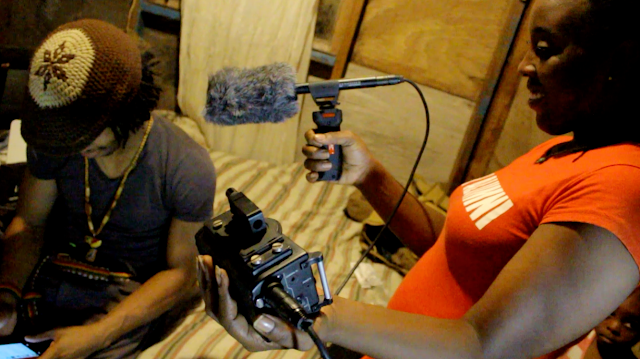 He has directed music videos for Alkaline, Lt. Stichie, Sizzla, Ken Boothe, Lutan Fyah. He also made many concert recordings and documentary films as his series of 30 episodes titled "Just Humans" 'À la Jamaïque', this ultra short series (less than 2 minutes) designed to introduce local culture in a rapid, fun, friendly and intimate format knows a great success since 2012, it was chosen to illustrate the travelling exhibition "Jamaica, Jamaica" and the episode #16 became a viral phenomenon on the internet with one million views in less than 10 days. His filmmaker talents also leads him to work with the label VP Records to shoot 52 mms documentaries about Gussie Clarke, Bobby Digital and Donovan Germain accompanying compilations of the leading producers. In 2016, among other projects, he released his first short fiction film titled "Rock Dem" bringing Exile Di Brave, Infinite and Kazam Davis, the album "Better Days" by Diana Rutherford accompanied by the documentary of the same name, also a Likkle Devon's album made in collaboration with the prolific French musician & producer ManuDigital. Sherkhan is now split between production for his Tiger Records and achievement for his company Raatid Magic Films.